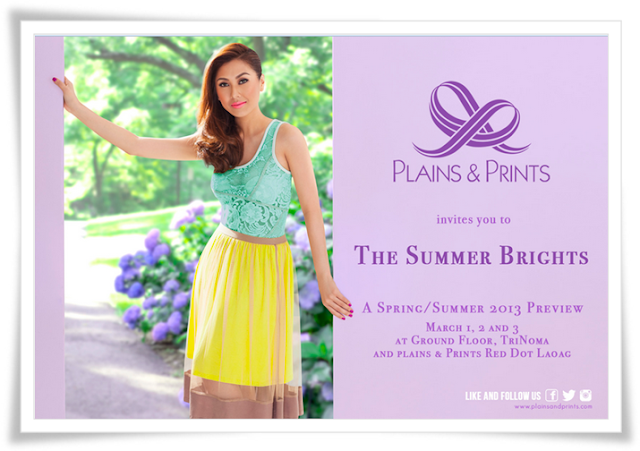 Plains and Prints would like to request the honor of your presence at their Spring Summer Preview on March 1-3, 2013 at the ground Floor at Trinoma and Red Dot Laoag. 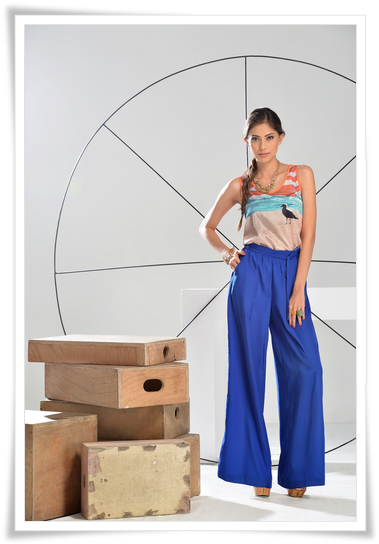 For more information, kindly like them on Facebook: Plainsandprints and follow them on twitter: @plainsandprints. A collection of dresses in vivid pastels and pretty pinks perfect for a summer party or any special collection. Cosmopolitan chic in neutral tones of black, white and gray. Classic styles with a twist. Mix it up with your summer wardrobe to update your look. The Colors of the Amalfi coast in fresh pastels. The Collection is inspired by seaside resort with touches of crotchet and feminine lace. Mint and orange are key colors.